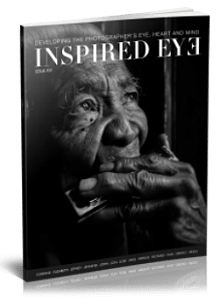 An eclectic mix of photography is in the 14th issue of Inspired Eye. To kick things off we have Francois Nadeau from Canada who loves cityscapes and street photography. Markus Lehr does beautiful urban landscapes at night and Dark Meyer has some gritty work from Asia. There's also two radical Visions of the same country: Burma. Ross Kennedy offers us a more colorful look while Chris Leskovesk has a more BW Street take.